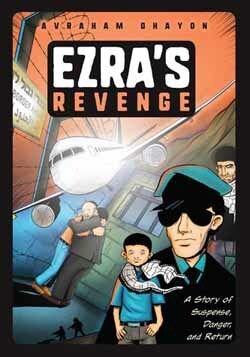 Sa'id, a fanatical terrorist, has a burning desire to avenge his father's death at the hands of the Israelis. Trained by the Hezbollah's top men, he is sent on a mission to hijack a plane and crash it into an enormous tefillah gathering in Eretz Yisrael. Hidden bunkers, Lebanese rooftops, railroad tunnels, international borders - suspense and drama pulsate with every twist in the plot.